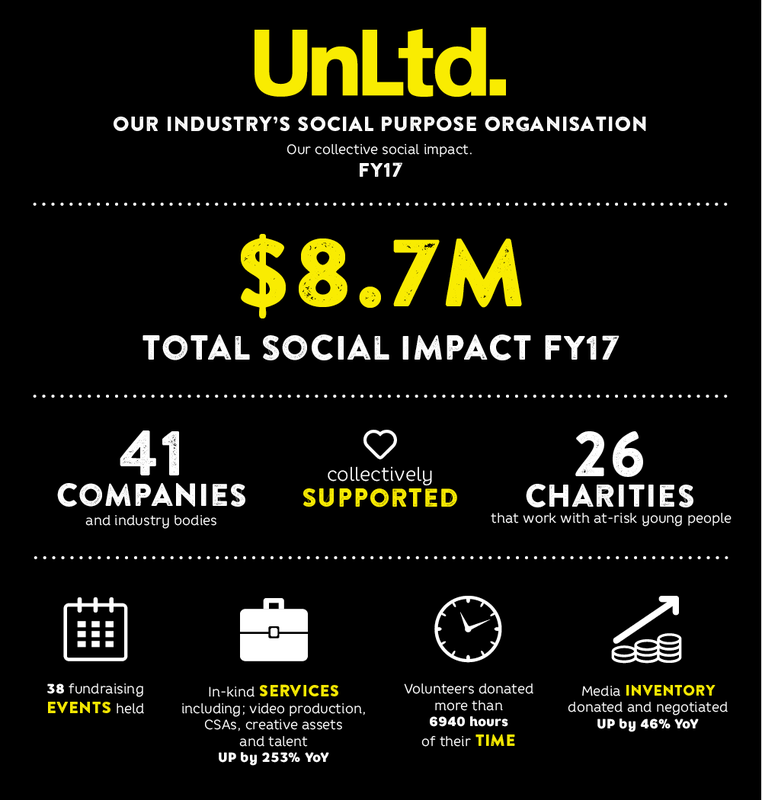 UnLtd – a social purpose organisation connecting the media, marketing and creative industries with charities helping children and young people at risk – has announced a record $8.7 million total industry contribution to social impact in FY17 as part of its annual results, released today. The total value of funds, services, inventory and time donated by the media, marketing and creative sectors increased by 34 per cent from the previous financial year, thanks to an increased number of corporate partners, introduction of new events, as well as deepened engagement with core social impact partners. UnLtd CEO Paul Fisher said the results are a testament to what can be achieved when our industry works together to create the social change needed. “To those 41 companies and the countless individuals who have contributed in the past year, we say unlimited thanks,” he said. “Thanks for believing in our industry’s unlimited potential to change young lives, and thanks for your role in helping us support Australian youth charities doing vital work.